As a quick solution, lots of people rely on energy drinks to get a boost and help them get through the day no matter how tired they are. The energy kick can definitely transform you from sluggish to alert in minutes, letting you take on what’s left of your to-do list. The problem, however, with energy drinks is they’re not the healthiest ways to get a jolt of energy. Most of these products make use of a whole lot of sugar, which is bad for your health. While sugar will effectively fuel you to take on everything you need to do during the day, getting them in extremely high amounts in one go will cause a spike in your sugar levels. This might help you feel more alert and active, but the spike is also often followed by a crash when the body has already consumed the excessive amount of sugar it took in. Because of this, you can’t really rely on sugary energy drinks to sustain your energy needs all throughout the day. The fact that sugar is highly addictive is another good reason why you shouldn’t rely on this substance for an energy boost. Constant consumption of sugar will make you crave for it later on, which can result to bingeing that will be followed by a craving for it again. It’s a vicious cycle that can also severely affect your health. High amounts of sugar entering your bloodstream will drive your system to produce more adrenalin and insulin to flush the sugar out, so doing this regularly can cause an imbalance in your body. It can increase your risks of liver, nerve, and eye damage for starters. It can also cause strokes, heart problems, and metabolic dysfunction. The possibility of crashing makes things even worse. It can hit you anytime a few hours after your energy kick and it can also be dangerous, depending on what you’re doing. It will also most likely require you to consume more sugar as well. Approaching energy boost in a natural and safe manner is what you should be doing instead. With products like the Isagenix Eshot, you can energize your body with only the good stuff and not the ones that will wreak havoc on your system. This makes it the perfect choice for health buffs and fitness fiends who sometimes need an extra kick for a workout session. What is the Isagenix Eshot? 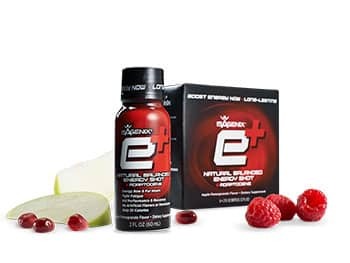 Best described as “Natural Energy Shots” because of their 2-oz serving size, the Isagenix Eshot (also stylized as e+) is basically an energy drink created and offered by the Isagenix Worldwide LLC. This product promises to give you a long-lasting energy boost that will also help you improve your performance in the process. Unlike other commercial and cheap energy drinks in the market, this product has a unique formulation that is designed not just to jolt you awake in the middle of a tiring day. It’s guaranteed not to have any artificial flavors, sweeteners, or colors, so it will suit an all-natural diet without a hitch. The Isagenix Eshot is also special because of its capability not just to make you feel more energetic but also to give you mental focus and clarity as well. This makes it a complete remedy to fatigue, letting you function at your full capacity even if you’re already tired a minute or two ago. While the Isagenix Eshot also makes use of caffeine to provide a much-needed energy boost, it’s where it got its main ingredients that set it far apart from other energy drinks in the market today. Its caffeine is actually from green tea and yerba maté, both of which are considered as good sources of such a substance. It also has additional special ingredients so it can power you up without any tradeoffs. A jolt of energy may be a no-brainer for energy drinks, hence the name, but what makes the e+ different is that it doesn’t just offer to perk you up to help you get through the day. It’s fast acting ingredients also have long lasting effects which are not something a lot of commercial drinks today can offer. While most can help you last an hour or two more before you need to take another sip or down an entire bottle, the e+ will let you get going for a few hours before its effects wear out. It also won’t be a crash as some drinks will do, making it a safer option for many. With low and natural sugar content, you also don’t have to worry about sugar rushes, crashes, and dependency. 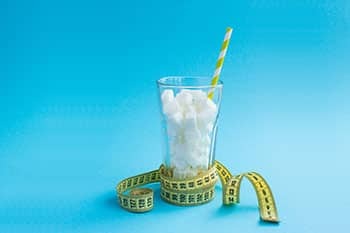 As mentioned above, high sugar drinks that masquerade as energy drinks will only leave you craving for more sugar in the long run, so they shouldn’t be the top choices if you often need an energy boost. Like other Isagenix products, the Eshot also has adaptogens in its mix. This means that it’s not just good for a quick pick me up in the mid-afternoon, but it can also help you deal with fatigue as a symptom of stress. In case you are suffering from chronic stress and it often manifests in exhaustion, the Eshot will also help you manage the very reason why you might be too tired. Another promising benefit that the Isagenix Eshot takes pride in is its ability not just to give you a jolt of physical energy but also to wake up your brain as well. Not a lot of energy drinks can give you both at the same time, as most can only make you feel awake without actually making your brain work at its full capacity. If you’re in need of a pick-me-up, you can’t just go for something that will only energize you. You’ll want something that will refresh your mind as well and make you fully alert so you can get the job done safely and efficiently. The Isagenix Eshots’ caffeine and adaptogens content can do both without a hitch. Not only will your alertness be enhanced, but your cognitive functioning will also be stimulated so you can be sure to fully perform after taking a shot of this product. If cleanses are your thing and you like to detoxify your body from time to time, losing some energy can be commonly experienced. However, since you are trying to get rid of toxins, energy drinks should be the last things that will enter your body. If you’ll need a pick me up, you’ll just have to find a natural item to work with as commercial energy drinks are a no go. But that’s only if you haven’t found out about the Isagenix Eshot just yet. Thanks to its natural ingredients, you don’t have to think twice about getting a shot or two of this product if you need to perk yourself up in the middle of the day. According to studies, this product can even be useful for the brand’s 9-Day Deep Cleansing and Fat Burning System, so you don’t need to worry about getting your tasks completed even while during a cleansing session. With so many promises that other energy drinks can’t offer, the Isagenix Eshot may seem like it’s too good to be true for some people. In reality, however, its formulation easily allows this product to provide an energy boost without harming your system in any manner. So how exactly does it work? Check out the details below. The very thing that gives this product its kick is its caffeine content that comes from green tea and yerba maté. These two natural ingredients are very different, but both offer great loads of caffeine, although, most people won’t expect such, especially for green tea. Most people don’t know that green tea also contains caffeine. It might not be as much as what black tea and coffee have, but it offers a wide range of benefits that makes the e+ special. Aside from the caffeine, the extract from green tea also has antioxidants and catechins, both of which are beneficial to one’s health. Any wellness enthusiast will know that antioxidants are great for the body. It keeps the body’s production of free radicals in check, making it useful in keeping your cells in perfect shape. This can result in lower risks of cancer and other diseases. Green tea is also best known for its catechins content. This ingredient makes it a popular drink for those who want to lose weight as it ups your basal metabolic rate. With this, it can help you burn more fat and lose weight in the process. Yerba maté, on the other hand, is a South American plant wherein the leaves are used to produce a drink called mate. People say that it’s as strong as coffee, as beneficial to one’s health as tea, and as heavenly as chocolate, making it not only intriguing, but also an excellent source of caffeine. Traditionally consumed in social settings by passing the drink around, this drink is very easy to prepare as all you need to do is fill up to ¾ of the container with dry leaves and twigs of the plant and add hot water the rest of the way. Some also drink it cold. What makes this plant great is the fact that it contains 24 minerals and vitamins, 15 amino acids, and a whole lot of antioxidants. It’s one of the unrivaled plants when it comes to offering almost every nutrient needed by the body to stay healthy. As it is also rich in caffeine, adding its extract to energy drinks make it so beneficial not only for the task at hand but also for ensuring that your pick-me-up won’t be damaging to your health. Aside from its awesome natural ingredients, adaptogens are also added to make the Eshot more effective and great for your health. As Isagenix is dedicated to helping improve one’s health, it shouldn’t come as a surprise that they also took pains to address one of the popular reasons why folks need an energy boost. If you haven’t encountered adaptogens before, the first thing that you need to know about it is it’s an excellent substance for handling stress. This substance acts like a thermostat for your stress hormone production. It detects when it’s getting out of hand, so it can signal the body to make more or less of it, letting you reach a state of homeostasis. This ability makes adaptogens handy for folks with high-stress lifestyles as it can prevent chronic stress and manage its negative effects on the body. The Eshot has three adaptogen sources: the Siberian root or Eleuthero root extract, hawthorn berry extract, and rhodiola root extract. These guarantee improvement in endurance performance, effective regulation of physical and mental stress, as well as fatigue reduction and increased energy respectively. You might be wondering, though, what exactly does stress has to do with your energy levels. There’s honestly a big correlation to your stress and fatigue and not a lot of energy drinks address that. The fact of the matter is, a lot of people are chronically stressed. And if you’re always stressed, you’re naturally irritable, anxious, and depressed. These three behavioral effects can affect your sleep, which can then cause insomnia and render you a zombie by the next workday. So, if you’re suffering from chronic stress, you’re also likely to feel fatigue most of the time. By managing your stress levels while upping your energy levels, you get a balanced and long lasting solution to exhaustion. 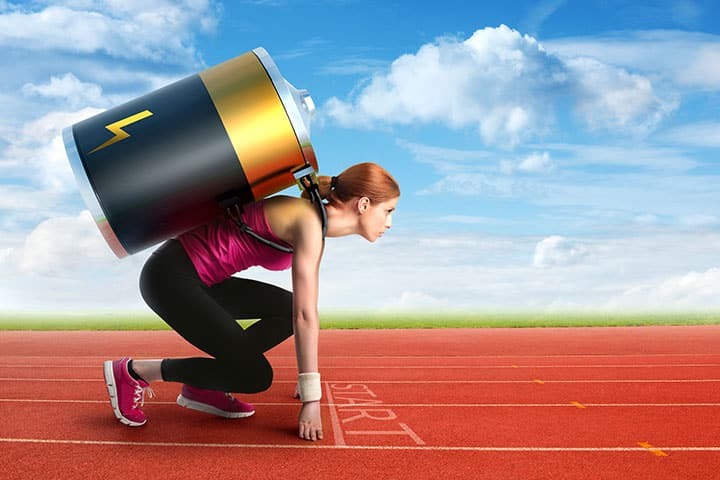 This is why the Isagenix Eshot is such an excellent blend for a pick-me-up as it doesn’t just give you a jolt of energy, but it also addresses the often-neglected reason why you’re running on fumes. Who Should Take the Isagenix Eshot? Crafted for people who want to get a good performance boost for their workouts, the Isagenix EShot is for everyone who needs a hand in safely jolting themselves awake in the middle of the day. It’s perfect for those who believe that their stress is getting the better of them, making it not just a fantastic drink to perk you up, but can also help in your general efforts in combating your stress. With its nice boost for your physical and mental energy, it can definitely be a quick and even healthy way to wake yourself up. As the e+ is a lot more like a health supplement than a traditional energy drink, you should consider and try to apply the same safety precautions for taking supplements if you want to get the most out of this product. You should be wary of potential allergens, first and foremost, as even natural ingredients tend to trigger adverse reactions in some people. Also, make sure not to go overboard with taking Eshots. While it is made from natural ingredients, it doesn’t mean that you can already down one bottle after another. Excessive amount of caffeine is bad for you and might make it difficult for you to fall asleep the following evening. This is even more important to remember while doing a cleanse as you’re only supposed to take a maximum of two shots of this energy drink if you’re trying to do a detox. Offering an alternative means to perk yourself up, the Isagenix Eshot is definitely worth a shot. 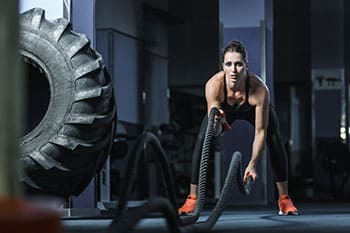 With all of the harmful ingredients included in a regular energy drink, you can’t just rely on them to keep your body in top shape when you need a performance boost. With the e+, though, you don’t just get a jolt of energy to keep you going, but it also has great health benefits that will benefit your body even more. The fact that it uses natural ingredients to get the job done should fully convince you to make the switch. Not only is the Eshot safe for consumption, but as it can also address the very cause of your fatigue, it also offers a long lasting solution to the problem. This means that you won’t have to worry about drinking this stuff regularly as instead of dependency, it might just help you manage your stress as well and even effectively wean yourself off from having to take pick-me-ups.